Because we had a movie to see after this meal, we skipped the free chips and salsa rewards members get, although our waitress did offer them. 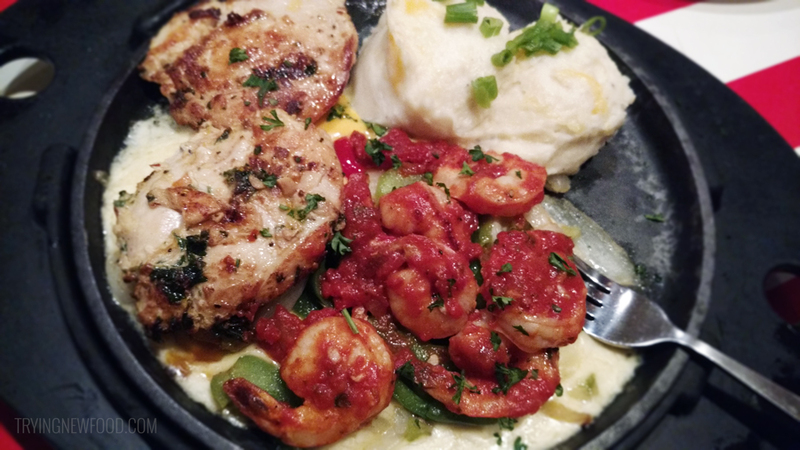 When our meals came out, they commented that my Sizzling Chicken & Shrimp dish was so hot that they had to replate it, which might explain why it wasn’t sizzling when I got it. 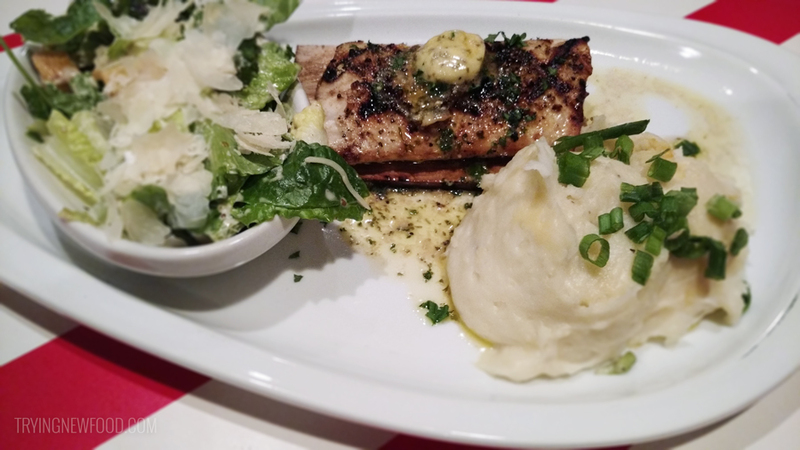 My husband had the Bourbon Barrel Mahi Mahi and enjoyed it. He wasn’t too hungry to begin with, so this was the perfect amount for him. I ended up helping him finish the fish, and it was flavorful and flaky; not at all overcooked. And the mashed potatoes were delicious. 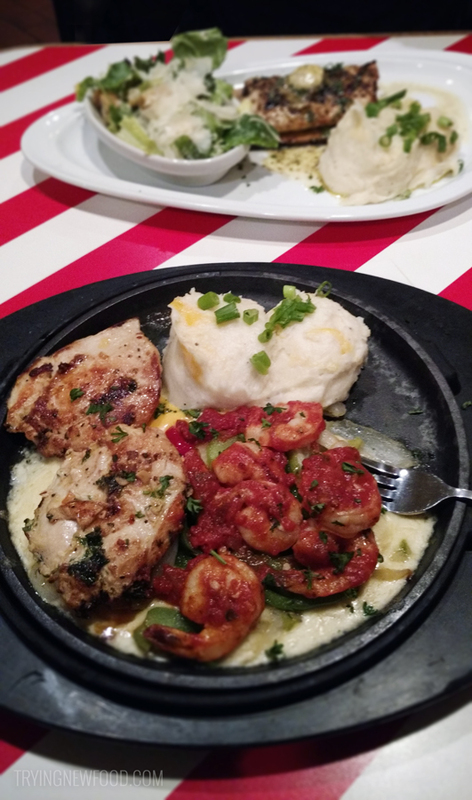 For my Sizzling Chicken & Shrimp dish, the chicken was extremely tender and the shrimp were gone before I knew it. Everything went well together and I really liked all the cheese and peppers that were underneath the shrimp. The only thing I missed was the ‘sizzling’ part, but since we were in a rush, it ended up making it easier for me to finish my dish and get headed out. We liked both of our meals, but we are going to try some of their other meals to see how they compare to these two dishes. But definitely check them out, and if you do decide to eat there — SIGN UP FOR THE REWARDS PROGRAM! The coupons and rewards you get from eating there end up paying for an entrée or dessert in the future, plus you get free chips and salsa every visit. We’ve saved hundreds of dollars from all the rewards we’ve used.